Help your little one wind down for the day with this soothing bath soak and organic cotton washcloth. Give rubber ducky a run for his money—bath time becomes child's play with this soak and washcloth set. Created with baby's wind-down routine in mind, the soak includes only the gentlest, most calming ingredients. 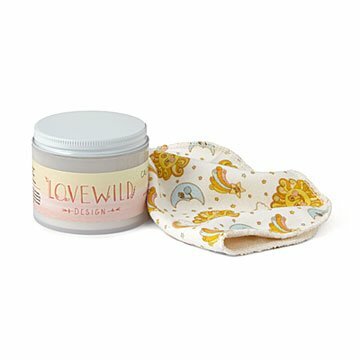 Organic aloe leaf powder and essential oils create an aromatherapy experience even the littlest ones can enjoy—and an extra soft, organic cotton washcloth only makes an already-improved bath even better. Expect a happy baby with plenty of sweet dreams ahead. Handmade in Brooklyn. organic cotton, baby soak, bpa free plastic jar.